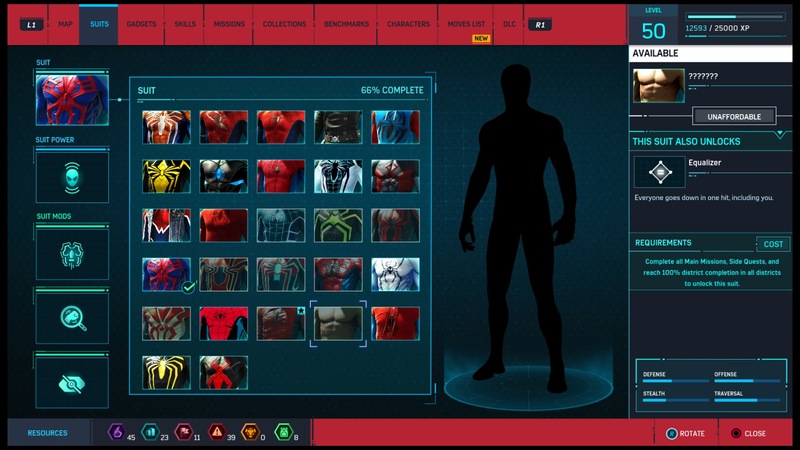 Well, it took me a bit of time, but I’ve finally completed my journey into Marvel’s Spider-Man. Everything seems to be here that I would have contemplated putting in if I had drawn up some ideas for a Spider-Man game (and then some really). That is not to say I have the ability to actually create something of this level. Everyone else seems to be singing it’s praise, but is it worth jumping on this train for $60 if you haven’t picked it up yet? Is it really all that fun? Let me break it down for you. The story is great and is one of the best aspects of the game as a whole. All the way up to the ending you can see coming (well, I could), but was fretting about the whole ride. Kind of like this guy when he saw the flaming Skeletor-Spider-Man coming at him, but had to take it in the face anyway. The good parts of the game are easy to see. It’s a beautiful with all of the detail they’ve put into the game. 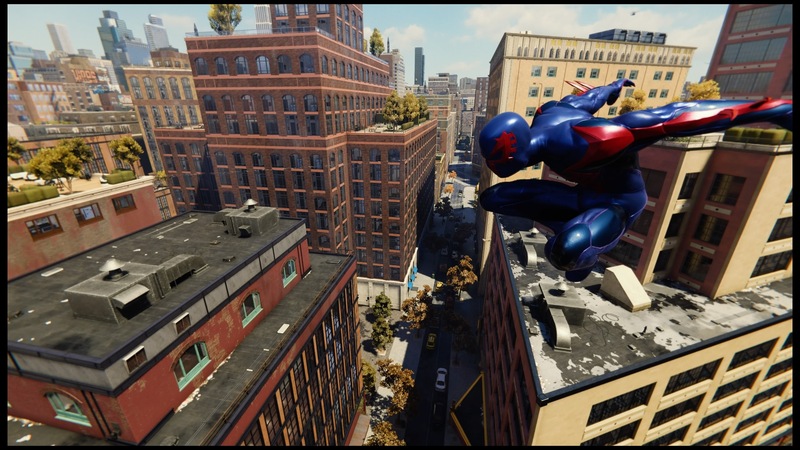 Web-swinging around this massive city is impressive to say the least. It was probably one of the best super hero games I’ve played since the Power Rangers game on my Sega Gamegear. “What’s a Gamegear?” or “The Power Rangers?” are some questions you may be asking yourself. I don’t tend to play a lot of super hero games, especially after that Superman game on the Nintendo 64. (The thought of that game still gives me shudders, but I’ll admit that it is a long time to hold a grudge.) I don’t have a lot to go by for super hero games and I’m fine with that; people play what they play. That being said, I didn’t feel the game was perfect. There were so many ways to play and I love me some stealth (as anyone who frequents The Backlog can attest to). 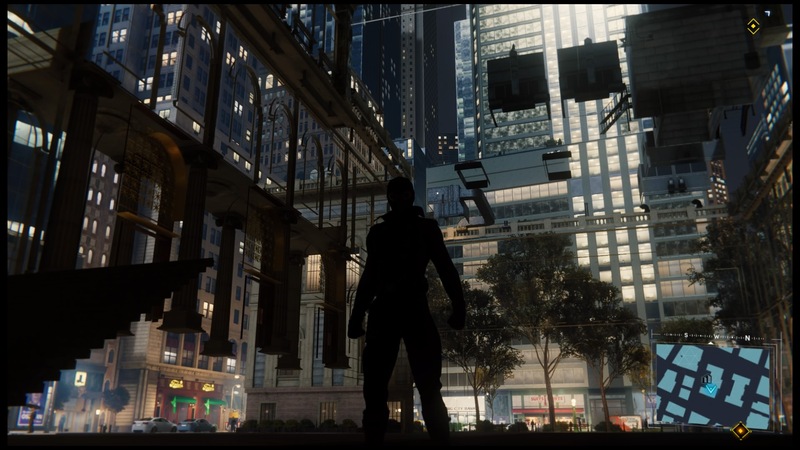 There was plenty of stealth in Spider-Man and it excited me up to a point. 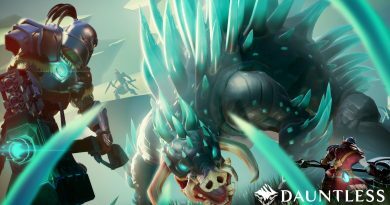 The issue I have with how it was implemented is the same in how all of the combat was integrated with the reward system. When you come up to a group of baddies on the street, there’s a possibility to gain tokens to use for upgrading gear and unlocking new outfits. The same applies to enemy bases. Enemy bases can be taken down in many different ways, but if you want to get a “perfect” score, you’ll need to do certain combat tasks in order to attain a “perfect” rating. I use the air quotes because, you don’t need to do what the game suggests, but if you want the maximum reward, you do. Suddenly there wasn’t the freedom to do what you wanted, when you wanted to if you actually wanted to get rewarded fully. Later in the game, the realization sunk in that you didn’t need to get a “perfect” score on all of any type of activity (like taking out bases) to have enough tokens (as there is a fair bit to do here), but that’s not how it came off to me at the beginning of the game. I still remember that bit of dread when a bullet would clip me while stopping a stolen car and suddenly I’m at a 2/3 on that specific crime stop. It was frustrating. “Should I just swing away and find another crime?” That’s not how heroes are supposed to think! Luckily, the game had no penalty for property damage. I would have been screwed! I also never got the full grasp of the combat due to this “complication” as well. Catching missiles at just the right time and throwing objects or baddies at other baddies was not as on point as I felt I had executed the moves. Along with that, the game kept popping up my progress on each activity as I cleared the city of baddies. I’d jump in and see a group of ten or so guys surrounding some hostages and I’d jump into the middle of the group and explode in a ball of webbing tying up the lot of them. Suddenly it pops up that I had to web-chuck four of them into other baddies and there’s not enough left. You can say to just ignore it, but it was very annoying and that persisted throughout the game. The web-swinging (as I mentioned) was cool. As with all good things, there’s almost always a down-side to them. If I needed to traverse the map to get someplace, I was more than happy to swing from one end of the large city to the other. I rarely fast-traveled as the web-swinging was that fun. (I think I fast-traveled once, and it felt lame compared to your obviously more cooler alternative. It was funny to see Spidey on the metro.) Challenges would appear later on as would other quests to catch pigeons. 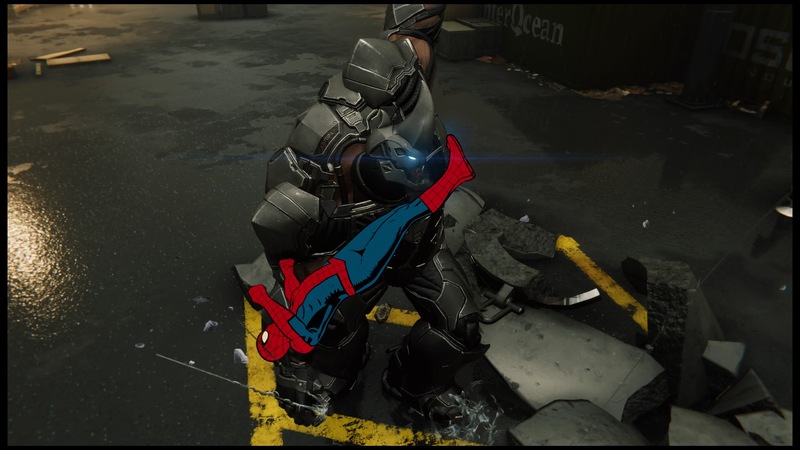 I’ll admit that maybe I wasn’t the best at web-swinging, but I felt I had a pretty good handle on it. 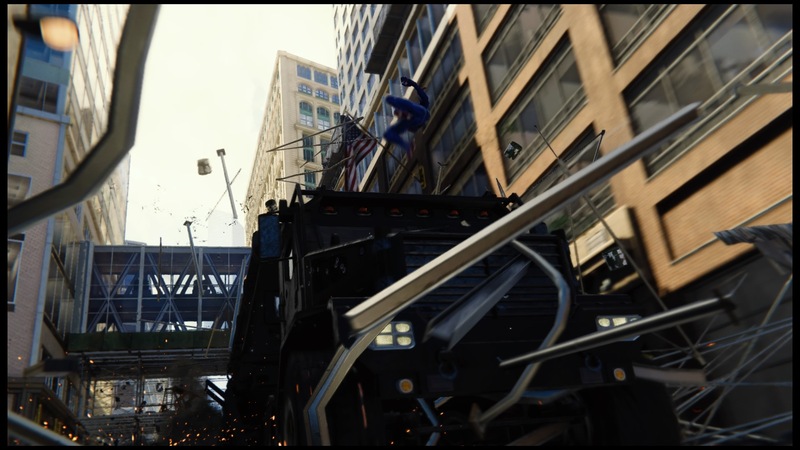 Some of the turns the pigeons and drones I would chase in Spider-Man were crazy fliers and the camera wouldn’t always follow the way I’d like it to. Again, the game found a way to take something that was cool and found a way to frustrate me with it. That being said, it was the challenges that frustrated me with their difficulty of me tackling them, not the general swinging. Wait… my arms are backwards when I’m swinging around. Does that mean I’m a ninja? I found the boss fights to be rather fun. This is where I’ve heard complaints about them being all the same or very similar. I didn’t really feel that way. I found them way more enjoyable than the fights with the normal crazies running around New York. Figuring the fights out and how to stop them was like a puzzle in and of itself. It was a puzzle fight. That is, until you figured it out and then it was a matter of solving the puzzle without getting your face punched in. You could be reductive and say all fights are web-swinging/throwing and punching/QTE’s, but they were another great aspect of the game and I feel kind of bad for those that didn’t enjoy them as much. I think the Rhino/Scorpion fight was probably my favorite. File this costume under “things that I want, but not that bad”. 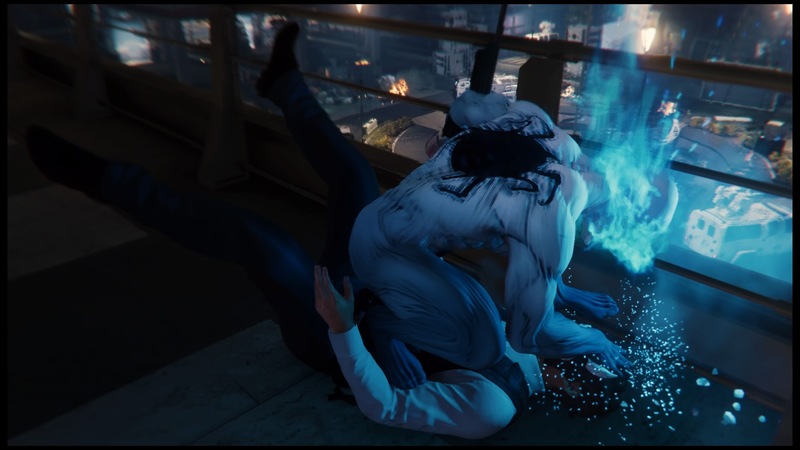 For as much crap as I’ll give Marvel’s Spider-Man, it wasn’t that bad. There were just so many design choices in the game that took the enjoyment out of activities that I was enjoying and kind of crapped on them. It’s not that one had to do all of the tasks listed, but the game kept reminding you of them and the things that you weren’t doing and if you wanted more points or badges you would need to. It was more frustrating. I kind of wish the costumes were unlocked with points like your skill-trees. Maybe some of them could have been hard-locked to progress in the main story mode. I would have been ok with that. That “drunken-stupor” costume was the final kick in the nuts for me though. All-in-all, Spider-Man was a good game and others may not get stuck with the same “issues” I had, but they really did hinder the enjoyment I could have been having throughout the game proper. One more for fun. There are bugs in the game at this point. Maybe they will patch them, but not before I web-swing inside a building. I was able to get out, but not before walking on invisible walls.